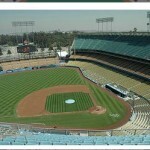 Here are some different views from sections in the Top Deck View Dodger Stadium. 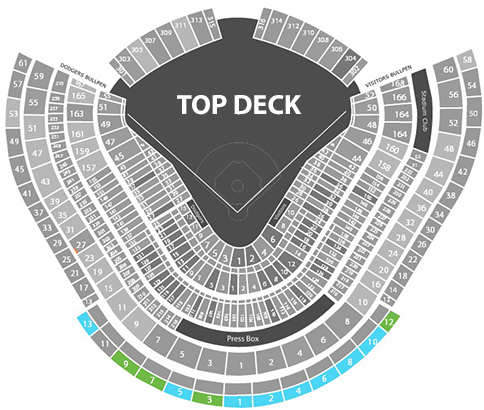 If you need any help with your All You Can Eat Dodgers Tickets, you can speak with Barry’s Tickets team member seven days a week at (866) 708-8499. 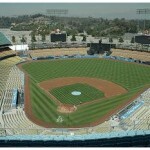 Where to park at Dodger Stadium? 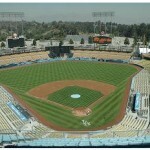 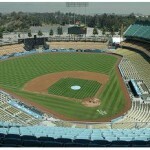 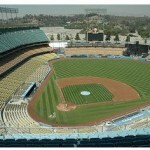 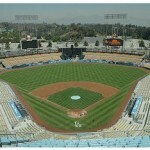 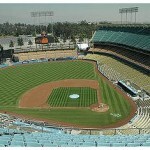 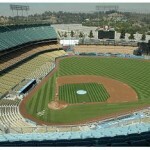 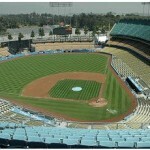 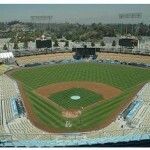 Take a tour of Dodger Stadium. 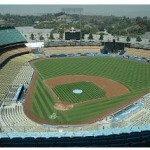 Where is the shade at Dodger Stadium? 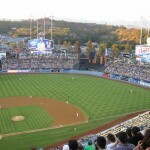 Since 1985, Barry’s Tickets has been serving all of Dodger Nation with the 100% guaranteed authentic tickets to all games. 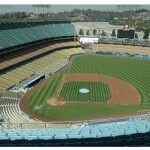 No matter if you are looking for Opening Day Dodgers Tickets, Dodgers Fan Apperception Day Tickets or any games in between Barry’s Tickets has you covered. 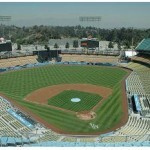 Barry’s Tickets offers great deals on all games on the LA Dodgers Promotional Schedule including all Dodgers Bobblehead Giveaway games.